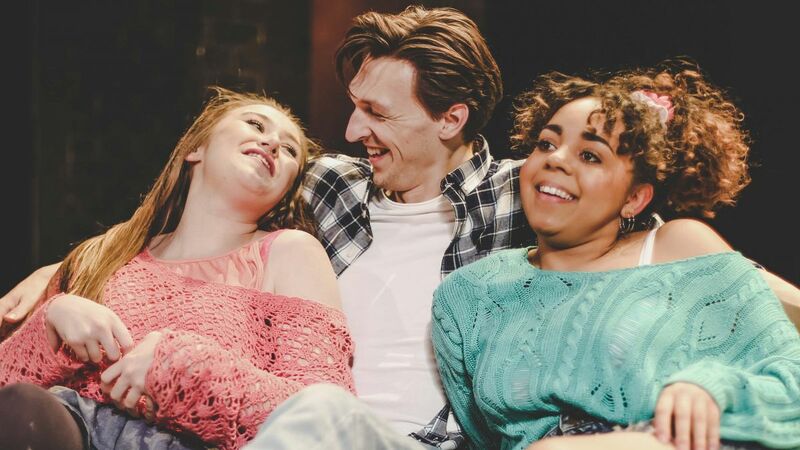 We take a look at the writer and story behind Rita, Sue And Bob Too, which comes to our theatre this spring. The film version of Rita, Sue And Bob Too has become iconic since its release in 1987. Adapted from Andrea Dunbar’s original, semi-autobiographical play of the same name it was filmed on the Buttershaw Estate in Bradford, where Andrea herself lived and worked. At the time, the film divided those who saw it. Critical reviews were mixed, and some on the estate were unhappy about Dunbar’s portrayal of the area. A quick summary of the plot probably explains some of the uneasiness: this is the story of two teenage girls who have an affair with the older, married man whose children they baby sit, all told with Dunbar’s sharp ear for dialogue and gift for comedy – even if that comedy is sometimes black. Nowadays, we might talk about grooming, but for Dunbar, this was reality: like the girls, she’d had an affair with a married man. Dunbar’s life story is as remarkable as it is tragic. She was one of eight children, and grew up on the Buttershaw Estate where Rita, Sue And Bob Too was later filmed. She wrote her first play aged just 15, as part of her English CSE – called The Arbor, it drew on her own experience of becoming pregnant and giving birth to a still-born child. Her teachers were impressed with it, but Dunbar nevertheless left school at 16, had three children by three different men, and ended up in a women’s refuge. One of the women she met there had an interest in drama – when Dunbar showed her the script for The Arbor, the friend was impressed enough to send it to the Royal Court Theatre, where Max Stafford-Clark, the artistic director, decided to produce it. At the time, Dunbar had reportedly never been inside a theatre. The play was a success, and Dunbar was commissioned to write another play, which turned out to be Rita, Sue And Bob Too. It was also performed at the Royal Court, before being turned into a film. In a happier universe, all this would have meant Dunbar’s life took a turn for the better. In this one, it didn’t. Although Dunbar wrote the screenplay for the film, she was disappointed when other writers were brought in to give the film a ‘happier’ ending. The film caused problems for her on the Buttershaw estate where she still lived, with people assuming she was now rich, or taking issue with the way the estate was portrayed. Accounts differ as to how far back Dunbar’s problem with alcohol reached, but it wasn’t something she could overcome. She wrote another successful play, Shirley, but her lifestyle became increasingly chaotic and alcohol-dependent. She died in 1990, aged just 29, of a brain haemorrhage. She collapsed in the Beacon pub in Buttershaw, which is visible in the opening scene of Rita, Sue And Bob Too. 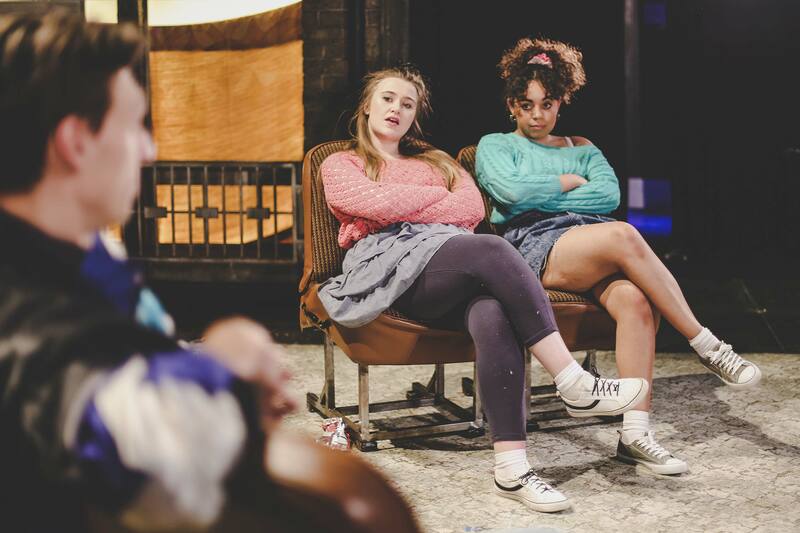 Dunbar’s life was tragic, but the legacy of her writing survives in Rita, Sue And Bob Too, which has become an iconic work, because of its vivid depiction of life on the Buttershaw estate – both its struggles and its great humour. She’s now someone the estate is proud of: in 2010, a commemorative blue plaque was unveiled on the house on the estate where Dunbar lived. Rita, Sue And Bob Too: Wednesday 24-Saturday 27 July.